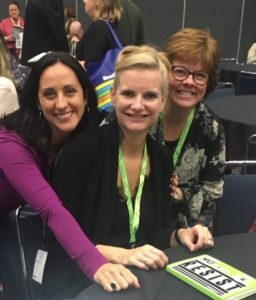 Put our voices, and ourselves out there, via our Lit Coach Connection blog. We wrote blog posts for TeachWrite. 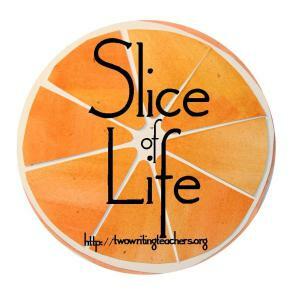 We participated in our first Slice of Life challenge. For the first time, we truly identified as writers. Created a Lit Coach Connection Twitter account and connected with over 600 followers. Discovered the power of Twitter chats where we learned alongside educators and leaders in the field. 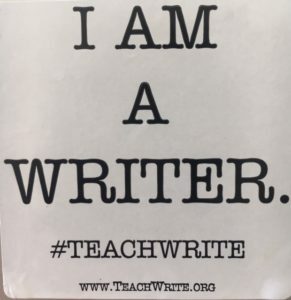 Yes, after our first TeachWrite twitter chat we joined up with a Voxer group to continue conversations about teacher writers. 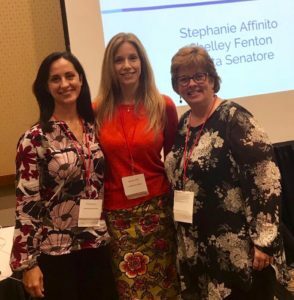 Presented at the Literacy For All conference in Providence, RI with our friend and mentor, Stephanie Affinito. Had the honor of Pam Koutrakos being a participant at our presentation! 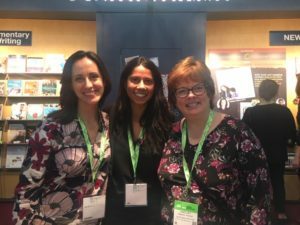 Were mesmerized by Nancy Atwell’s keynote and enjoyed connecting with her at her book signing. 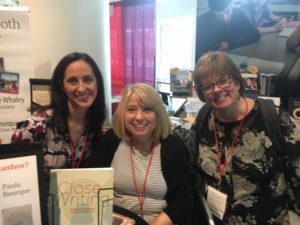 Met Donalyn Miller who invited us to write for Nerdy Book Club (a goal for 2019). 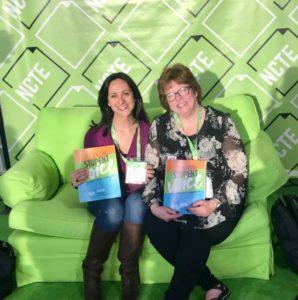 Boarded a plane for Houston, a day early in order to beat an incoming snow storm, and headed to NCTE where we helped facilitate a teacher writer round table. Cut the line for Starbucks to talk to Mary Howard! Speaking of our heroes, we met Sara Ahmed! Honestly, it was difficult not to gush when we shared how pivotal her work has been for us personally and professionally. Were asked to consider the question: “What rights do you hold dear as a reader?” by Pernille Ripp. Ran into Jennifer Serravallo in the ladies room. Soaked in Kate Roberts’ lovely energy as we walked down the hall with her. Created a summer writing group! 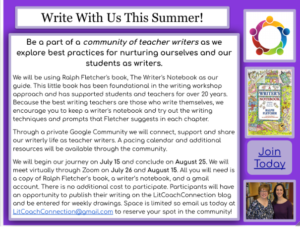 We connected with 17 teacher writers from around the country and Canada and guided by Ralph Fletcher’s seminal work, A Writer’s Notebook, shared our writing virtually. Oh, and we also connected with Ralph Fletcher himself! 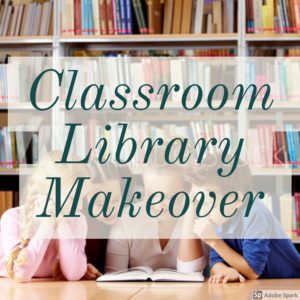 Collaborated with teachers and students in our districts to makeover classroom libraries that put student readers at the center! We brought teachers in to visit the new libraries. Students proudly shared their part in creating them leaving teachers inspired to makeover their own libraries. Supported teacher and student writing identities by transforming classrooms into cafes complete with tablecloths, place settings, tea light candles and soft jazz music. An inspiration for writing served as a centerpiece of each table. 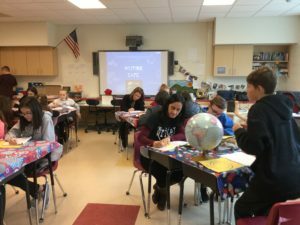 Teachers, administrators, parents and students carried their writers’ notebooks in hand as they traveled from one table to another each 10 minutes to try a new idea for writing. Wow, what a year! Just writing this fills my heart with joy. Celebrating our year and all of the amazing people with whom we learned alongside inspires us to continue this work and set goals for another year. Congratulations! It is so important to ground the future by looking at the successes of the past. I’m sure 2019 will be just as phenomenal. What a great year! Yay! Time to celebrate. Big things are on the horizon. Congratulations!! 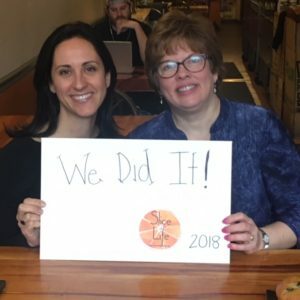 You have accomplished a lot in your first year! Your second year will be even more amazing!